House of Virgin Mary, Infinity by Yelken hotel is 22km 25minutes away. According to the belief of Christianity Hz. Jesus' crucifixion after the incident of Hz. Mary came to this area with her apostle John (St. Jean) and spent the last years of her life here. This is why the house is regarded as one of the holy places of pilgrimage. Today, the building belonging to the Virgin Mary's Association was found by İzmir Lazarists in 1891. 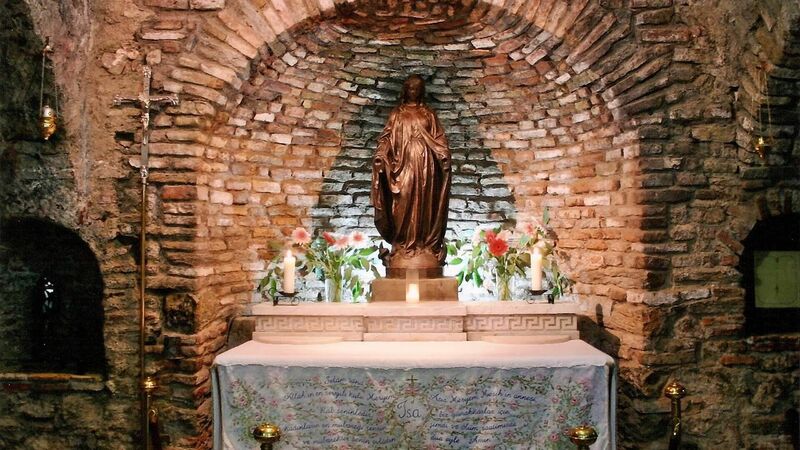 Virgin Mary's House, which was restored in the 1950s, was declared sacred by the Vatican, and in 1952 it was declared a pilgrimage site by the Vatican. Pope VI. Paul and Pope II in 1979. Jean Paul and Pope XVI in the near future. Pilgrimage visits were carried out by Benedict. On the 15th of August every year, Hz. On the day of Mary's death, it makes the great house which is organized by the Vatican.